That’s right, NONE! Are you trying to look like the most moronic city in North America? Is that your goal? So far, mission accomplished! I don’t even know where to begin on this one. How many people live in your city? Just over half-a-million, right? 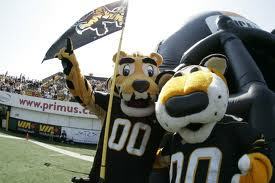 You have one major professional sports team – the Canadian Football League’s Tiger-Cats. And you’re doing your level best to screw that up by not being able to agree on where to put a dinky little stadium that nobody north of the Burlington Skyway gives a rat’s a– about! 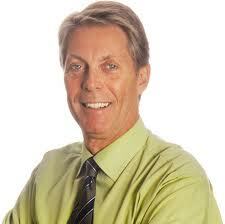 Fred Eisenberger became Hamilton's mayor in 2006 - by a mere 452 votes. Bet some Hamiltonians wish they had those votes back now. Your short-sighted mayor, Fred Eisenberger, had insisted on a west harbour location. He’s preached about “…bringing ethics and integrity back to Hamilton council.” How about bringing in some intuition? The Tiger-Cats’ owner, Bob Young, says they simply won’t play in west harbour. Young says they will move to another Canadian city (Oshawa’s salivating to turn the Cats into the Oshawa Titans) rather than locate to west harbour. If Hamilton can’t agree on a stadium site that includes the Tiger-Cats, you can kiss $60M of government money goodbye…and you’ll possibly be stuck with a dinky 15,000-seat stadium that you won’t be able to do anything with after the Pan Ams in 2015. Or you’ll lose the new stadium altogether and the Pan Ams will simply use York University in Toronto. On Wednesday, the Hamilton Spectator newspaper reversed its earlier stance, acknowledging that the west harbour site was effectively now dead, because the Cats won’t agree to play there. They wrote, “The quantifiable benefits of a CFL team to the city are modest at best. But the intangible benefits in terms of community identity, confidence, spirit and sense of history are greater and more complex. The Tiger-Cat identity, to some degree, is intertwined with Hamilton’s and is worth fighting to preserve.” One quick question…are you nuts? “To some degree?” Are you kidding? The Tiger-Cats are Hamilton. Why would anyone else ever go there? Your hockey arena, Copps Coliseum, is about as modern as Mel Gibson’s views on women. There is nothing to see. Nothing to do. A quick trip in and out to the Canadian Football Hall of Fame, and that’s it. 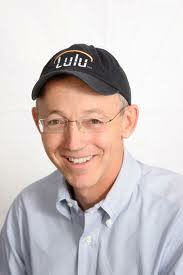 Bob Young, who made his money from Red Hat software, knows a thing or two about business. He knows where he wants his football stadium...and that might be in Oshawa. The Tiger-Cats are all you’ve got, Hamilton football fans. And it’s almost like you had a meeting to see how badly you can screw this up. Look at Edmonton. They are in the market for a new hockey arena. The city is doing its level best to work with Oilers’ owner Daryl Katz regarding all aspects of the new facility. Why does the city of Hamilton think you are better and smarter than Bob Young? If it wasn’t for the Hamilton native stepping in in 2003 to purchase the Cats, they wouldn’t even be in existence right now. Hey, Hamilton football fans, the Tiger-Cats don’t give a s—t. They hold all the cards! It’s the same hand that the Oilers hold in Edmonton and the cards every other Canadian sports team holds. Why don’t you fans have your Hamilton city council give Winnipeg a call? Maybe they can enlighten you as to how teams (like the Jets), cities and new arenas have to dovetail.